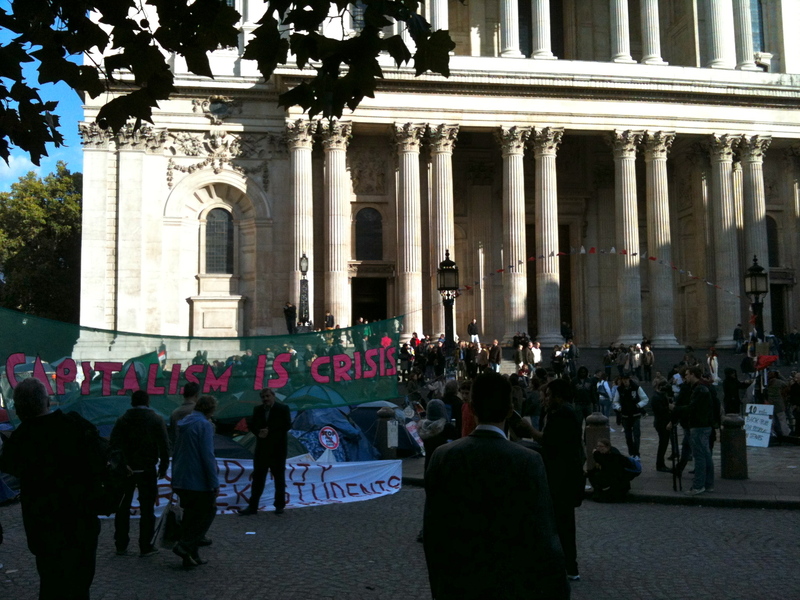 Yesterday I jumped off the tube a stop early to go and take a peek at the ‘mass’ protest outside St Paul’s. I must have looked a touch conspicuous in my dinner suit, striding ardently in the direction of the Bank of England, but everyone was friendly, and no one accused me of being a banker… after all, its half term, so they will all be in Klosters or the Cotswolds. What stuck me about the whole thing is the total number of these anti capitalist crusaders (also know as Occupy London Stock Exchange) was about fifty persons all up. Yes, there are a few tents gaffer taped to the pavement, but this is hardly Glastonbury. Its more, well, Feltnam Brownies Village Fete. 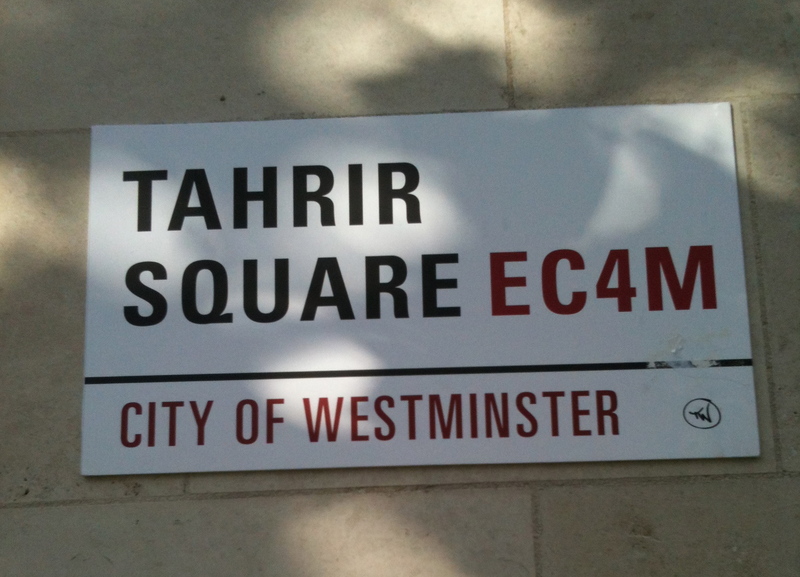 That said, their blog is worth a look, as is the ‘Tent University’. Find it here. For days now the press have been taking about this protest as if it is somehow going to bring the Western economy to its senses, make them appreciate the feelings of the ‘99%’ and start a new world order. What I saw was a bunch of friendly, imaginative, passionate people, with no real sense of purpose or goal, camping outside the mighty cathedral, and pestering the cathedral wardens over where they could charge their mobile phones. Today the BBC have reported that St Paul’s has been forced to close due to the chaos of the protest. Perhaps they have simply run out of plug points?